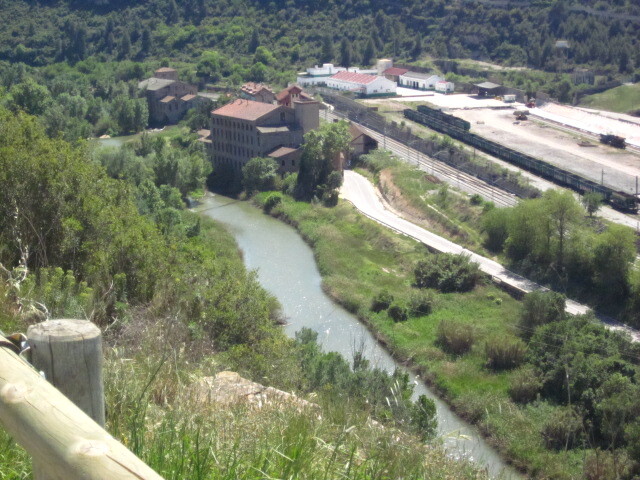 One of the significant experiences that St Ignatius had in Manresa occurred while he was gazing at the Cardoner River. Here is how this experience is recorded in the Autobiography. “One he was going out of devotion to a church situated a little more than a mile from Manresa; I believe it is called St Paul’s adn the road goes by the river. As he went along occupied with his devotions, he sat down for a little while with his face toward the river, which ran down below. While he was seated threr, the eyes of his understanding began to be opened; not that he saw any vision, but he understood and learnt many things, both spiritual matters and matters of faith and of scholarship and this with so great an enlightenment that everything seemed new to him.” [30:2] The photography here was taken just yesterday at the place where it is thought Ignatius may have been standing when this experience happened. Place is now visited by many people from all around the world. One of these visitors was an artist who used his many talents to create this piece of art which has been placed in the ground on the place where it is thought that Ignatius may have been sitting. 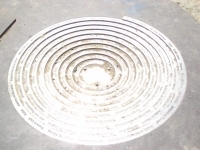 The artist has recorded the names of 170 mystics around the spiral design which is in metal, Ignatius name is one of them, along with one of contemporary sons Teilhard de Chardin.